Mark Nelson didn’t manage to make this his fifth portable flash recorder review in Hawaii, but he made up for it in depth. His review of the Zoom H2 is almost 5,000 words and contains surround-sound links galore as well as some nifty audio examples. What’s especially cool was that it became a collaborative review after I asked readers what features they wanted us to test when the H2 finally shipped. They piled on with questions, driving my blog to #1 on the whole O’Reilly Network. At last count, I had close to 300 comments. One reader even wrote a Mac plugin to convert the H2’s quad recordings to 5.1. 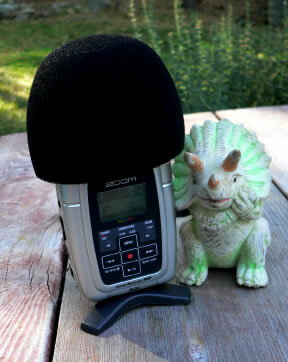 So, there you have it: mobile recording geekery can have mass appeal!